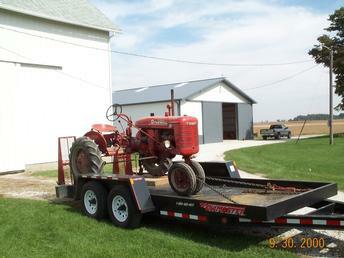 This was my grandfather's first tractor. Over the years I've commented on how great it would be to restore it. Well, he passed away a couple of years ago while working on his farm and not too long ago, my grandmother called me to let me know that the tractor was waiting to be picked up. You see, a grandparent never forgets a grandchild's words and they never let you back down from a challenge. I only wish my grandfather could be here to be part of it, but I guess, in a way, he is. The sight and smell of this old tractor; sometimes I'd swear he's going to walk up any second and give me a hand.